Somehow spider beetles have taken root in New York City. You may not even realize since most often they are mistaken for spiders or bed bugs. It’s an easy mistake to make due to their large round bodies and spider-like structures. Belonging to the family Ptinidae, several kinds of spider beetle species exist. Most of them are found in food storage places like pantries and kitchen cabinets. However, it is important to recognize them before they cause damage which you may not be prepared for. So, the next time you see something that appears to be a spider, make sure it’s not really a spider beetle. What Do Spider Beetles Eat? Spider beetles eat almost anything and everything. In some ways, they are more like rats in that their eating habits include wool, food products, hairs, animal droppings, natural fabric, synthetic fabric, etc. Spider beetles are scavengers, and their eating habits can be damaging if they infest your home or business. How Do Spider Beetles Infest? Spider beetles are capable of reproducing on literally everything. They frequently inhabit places where there is woodwork, paper or fabrics as these happen to be among their favorite places to infest. They can live in almost any climate whether hot and humid or below freezing. When it comes to mating they prefer hot and humid for reproduction. Despite their resemblance to bed bugs and spiders, spider beetles are not harmful to humans. 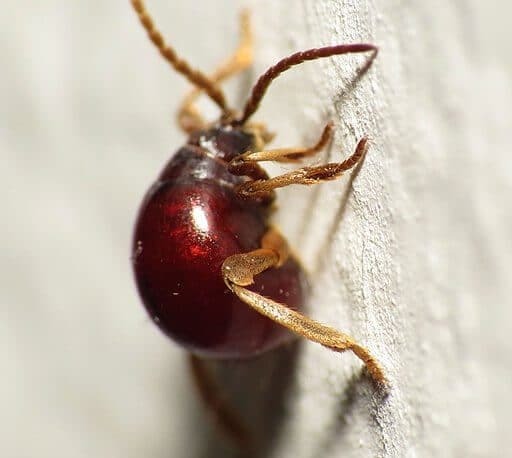 In case of an infestation they’ll take over your pantry, and then you may find them in your spices, grains, cereals, dried fruits or upholstered furniture. Their nests are difficult to locate because though they usually are within walls or in dark corners of attics. Egg – spider beetle eggs will hatch within a month after being laid. Larvae – the larval stage lasts around 6-8 months. Pupa – the shortest stage lasting just one month. Adult – spider beetles will live up to a whole year after reaching adulthood. You will find these to have a dark reddish brown shade or completely black colored body. The average length of these spider beetles is around 1.5 to 3.5 mm. American spider beetles possess a head, thorax, legs, and antennae which are most of the times covered with cream or yellow-colored hairs. Smooth spider beetles, on the other hand, have a smooth, single-colored, shiny black body, and that’s why they’re sometimes mistaken for mites. As the name refers, these beetles have patches of white-colored hairs all across the wings while the rest of their body is light-brown in color. As these beetles get older, their hairs lose their white color. The average body size of these spider beetles ranges from 2 – 4.3 mm. In case of a spider beetle infestation, make sure to keep your food in airtight containers to avoid contamination. Also, dump away all food that is expired or rotten. Spider beetles can live on either fresh or rotten food. It is very important to keep your house clean if you want to get rid of spider beetles from your house. Regularly and thoroughly clean the areas where food is handled. 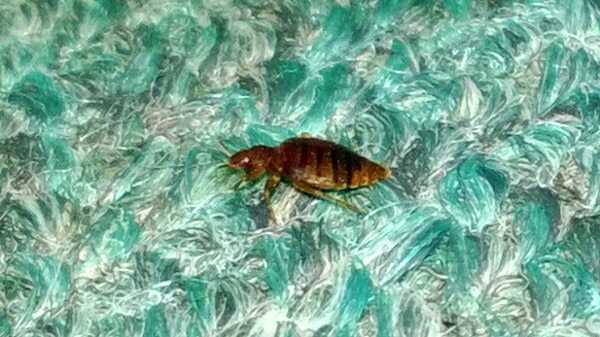 This will help discourage them from invading your house, and they’ll move out to find a more suitable habitat. Fill all the cracks and crevices you have in your home to remove their entry points. Termites are one of the most destructive pests you can encounter. 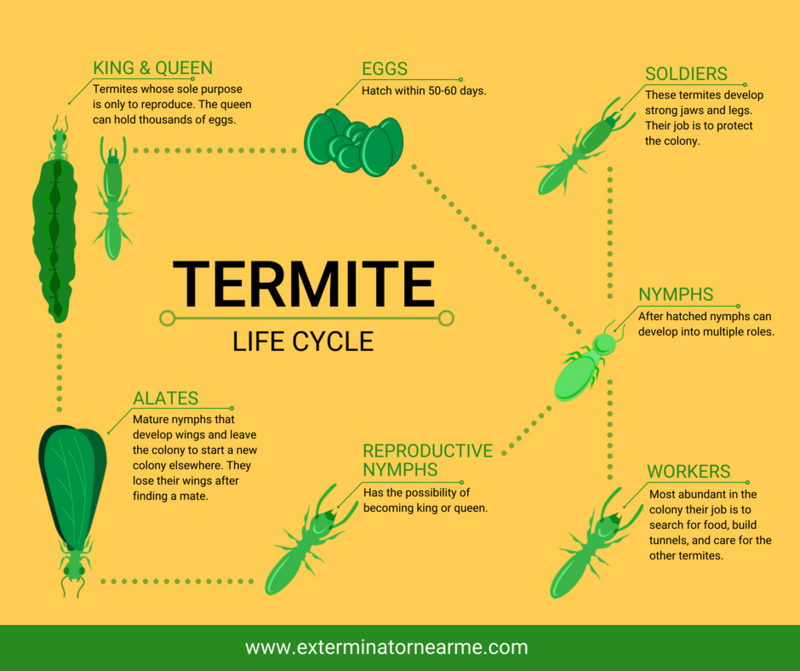 Understanding the life cycle of termites will inform you as to why they are so troublesome. Termites are dangerous wood-eating pests, and their infestation is a real threat to wooden foundations. Their ability to eat away the entire structure of a house or building is a testament to how destructive they are. It is estimated that termites cause property damage of $5 Billion every year! These decomposers have been munching on wood for centuries with more than 2500 termite species in existence. Each has unique characteristics, appearance, behavior, and habitat. But despite their distinct features, the life cycle of termites is similar in all species. The life cycle of termites starts when swarming winged reproductive males, and females make a mating flight. They leave the established colonies in large groups. Female swarmers then release perfume like ‘mating pheromone’ chemicals. This lures the male swarmers, and once they find an attractive female, they shed their wings together. Shedding wings is an indication they are a couple now, and then they procreate. They land in a new place to establish a new colony there. They finish mating there and then fertilize the female termite. Those respective male and female termites will become the king and queen of the newly established colony. The fertilized queen lays eggs that eventually hatch into larvae which are pale-white in color. A termite queen can lay up to 30,000 eggs every single day! Once the larvae hatch out of their eggs, they start molting. 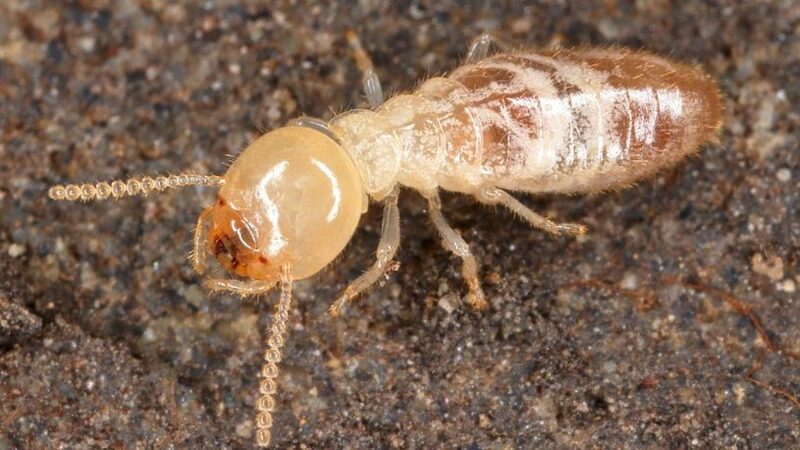 Molting is a growth process for termites in which they shed their exoskeletons to develop into worker and soldier termites. The termite which is going through the molting process is known as a nymph. Initially, a soft exoskeleton is developed under the existing hard exoskeleton. Once they reach maturity, the outer skeleton splits, and the inner skeleton hardens. Eggs hatch into larvae after 30 days. The termite king is responsible for feeding the immature termites. Larvae will molt several times over time. Environmental factors and pheromone cues by the king and queen determine which caste larvae will assume after growing. The termites’ castes which larvae can develop into include workers, soldiers, and alates (reproductive termites). Molting is required to achieve maturity, and enter the caste system of termites. Usually, larvae molt up to 3 times to reach full maturity. Afterward, larvae pick up castes and develop structures according to their caste. There are three possible castes larvae can be placed in to. Each has specific functions to perform for the survival of the colony. Most of the termites that you’ll see eating are generally are worker termites. They are sterile and don’t grow any further. Also, they are blind, lack wings, and have a lifespan of 1 – 2 years. These termites are yellow-brown. 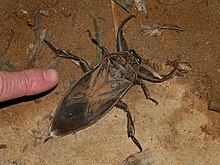 They have large mandibles and enlarged red heads. Their primary purpose is to defend the colonies from any intruders. Even though they are warriors, they are unable to eat on their own. Soldiers are dependent on workers to feed them. Just like the worker stage, the soldier stage is as far as soldiers will go in the caste system. They are also sterile and don’t live longer than 2 years. Reproductive termites are dark in color and possess functioning eyes with two pairs of wings which aid them during their mating flight. Those larvae who assume the role of reproductive alates (kings and queens) leave their colony during colonizing flight. They search for a suitable site for nesting, mate there, reproduce, and then become the king and queen of their colonies. Termite Queens have a long lifespan and can live up to decades in favorable climate conditions. In the life cycle of termites, there is no hard and fast rule for assuming the respective caste role. If the colony demands it, termites from one caste can develop into another caste. For example; a worker termite can become a soldier or alate if required. Warehouse pest control is a strict and ongoing process as they can spread disease and damage the property. Pest control is essential to health safety, and it is essential because pests can carry severe illness and diseases. However, pests can be found in a warehouse as well, as they contain delicate materials like food, beverages, etc. These pests can cost a company a loss in revenue by contaminating the product inside. Here are some of the best solutions for controlling the pests in your warehouses and avoid damage to your goods. Cigarette Beetles – These pests are the biggest problem found in a tobacco store, they are 2 – 3 mm in length and brown, usually preferring darker places. Drugstore Beetles – These pests are attracted to light and found on spices, daal, millets, and other foods, they are tiny, measuring 2 – 3.5 mm in length. 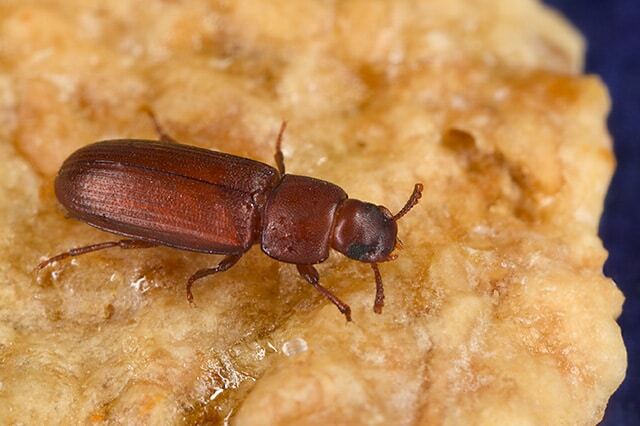 Flour Beetles – These are mostly found in flour, wheat, barley and some other products. They are red and measure 3 – 4 mm in length. Rice, Bean, (Maize Weevils) – These pests don’t have a particular shape or size and color; they can be 3 – 10 mm in length. Warehouse Beetles – These pests are very destructive, mostly found in legumes and nuts, they are dark brown, measuring 3 – 5 mm in length. Spider Beetles – These pests can survive in harsh conditions, and they can spread various infections easily. Indian Meal Moths – These are common pests found in rice and some food products, they measure 9 – 10 mm in length and can cause stomach pain and other infections. You need to eradicate pests by identifying them correctly, as most of them are small. 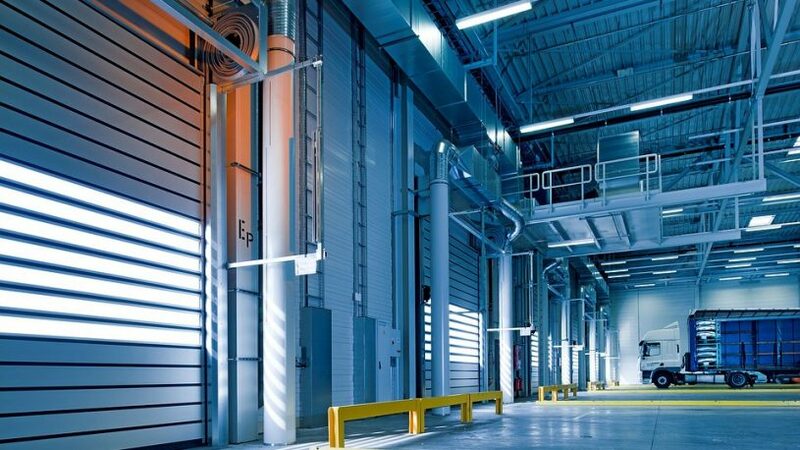 It is a big challenge for warehouse management as quality pest control is necessary. Special precautions should be taken to keep pests away, but you need to have precautions for environmental safety. Schedule regular inspections in storage areas and food zones. Routine inspections and maintenance will increase your chances of clearing the pests. Take preventive action after regular inspection, such as steps to prevent pests before they cause a problem. The most effective methods are applying chemical substances in areas, closing doors correctly, and maintaining cleanliness. 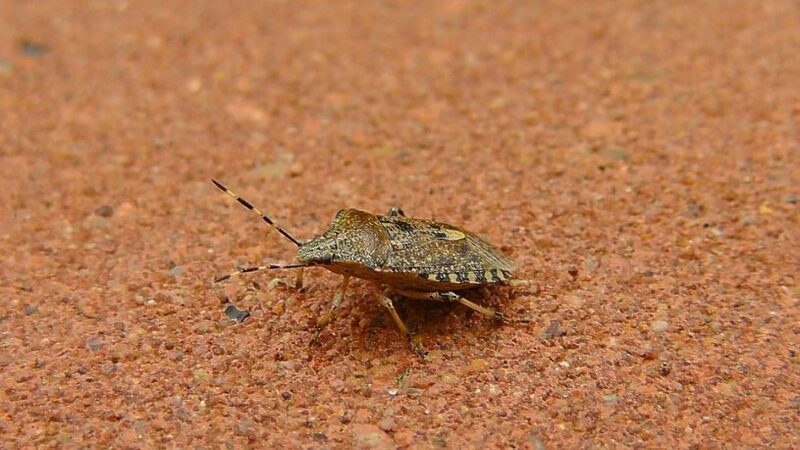 Identify the pests and their behavior by determining which are causing the biggest problems, and call a professional pest control company so that they can provide specific treatment. 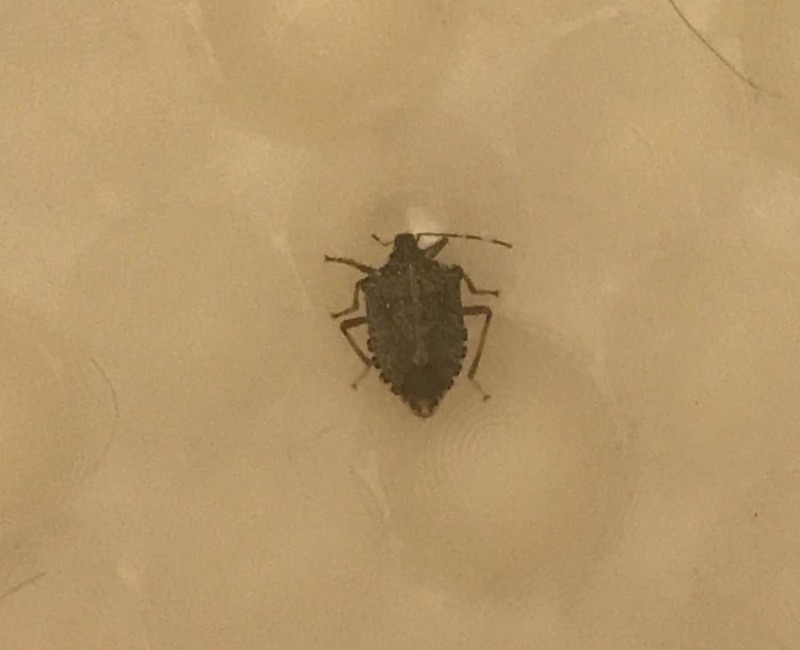 Once you accurately identify the pests then analyze which pest is attracted to which food, which way, and choose the best control techniques. Select a treatment method, whether it is a chemical treatment or non-chemical treatment, by seeing which is better for the environment to maintain food safety. Chemical treatment includes sprays whereas non-chemical treatment comprises trapping, keeping the cloves in the corners, make garlic – mint mixture spray and hot pepper spray, etc. After you have identified and analyzed the pests, it is important to monitor their behavior, and treat them weekly or more accordingly so you can maintain proper pest control. Prepare the documentation accordingly to eradicate pests successfully. 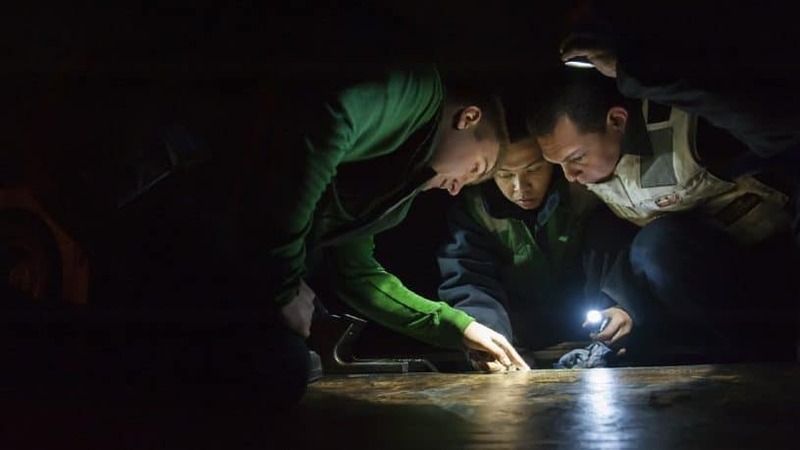 NYC exterminators from Control Exterminating understand the importance of pest control and hence employ only the best and most experienced exterminators for your convenience. 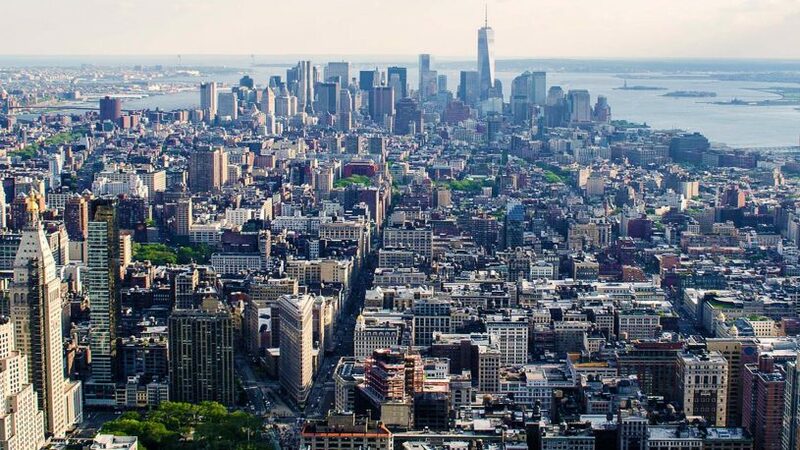 New York City is one of the busiest cities to live in not only in the United States but the world. And it has also proven to be a very tough city to reside in. However, that does not apply to all sorts of living beings, especially not pests, since they seem to be attacking hundreds of buildings in this area every day. Pest Control has been a topic of importance amongst its residents, and Control Exterminating as a company has been acting towards eliminating these pests from the city once and for all. These exterminators have gone through very crucial training periods and knew every trick to trap and effectively kill pests form any space. They are also equipped with some of the best available technology to make sure these pests do not come back once gone. One of the most common mistakes most people tend to make is during moving. This is the prime time to call in professional exterminators to prevent any mishaps regarding pests for a long time to come. Our exterminators will do a thorough and proper checkup of your new place before you move in. New structures are often infested because they have been left empty for long, and sometimes infestations are left behind from previous renters. From the ceiling beams to under carpets, there are many places pests could be hiding in your new space. It’s best to have a professional check it out and perform the necessary preventive measures so you never have to face pest trouble in the first place. Contact NYC exterminators at Control Exterminating and rent any new place in peace. We also suggest that you do regular checkups at your workplaces, like offices, industries, and warehouses to keep them pest free. 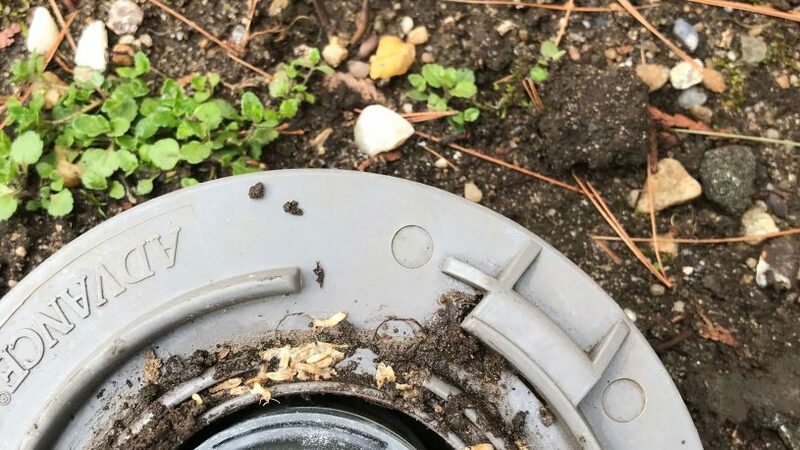 These spaces are often ignored because we do not live there, but the simple sight of a pest can ruin businesses, and a little swarm is enough to damage loads of goods. Therefore, it is crucial that you see to these places just as much, if not more regarding pest control, and all you have to do is go to Control Exterminating for the best services in NYC. 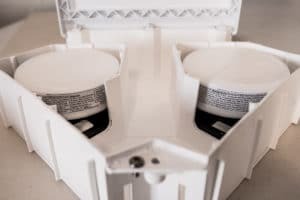 The main reason that these pests come into your homes is that they are always looking for the right living and breeding conditions, and they find it all at your place in abundance. So, once they move in, they start to reproduce, and before you know it, it becomes their abode instead. Places like the kitchen, the attic, and the laundry room are most prone to pest infestations. The basement and the attic are the biggest pest hideouts because we tend to visit these places left often. At Control Exterminating, we like to impose the importance of actually calling pest control instead of going in yourself because it could pose a lot of risks for you and your space, be it your home, your workspace or an industrial setting. Whatever the place, it is always recommended to get checkups every once in a while, especially if you live in an area that is prone to pest damage. Make sure to call Control Exterminating for the best NYC Exterminators. How Many Rats in NYC? How many rats in NYC? Estimates vary, but we know the little critters are reproducing more and more and New York’s been creating a plan of action. Wikipedia says that contrary to popular belief, (that there are five rats per person in NYC), scientists made a more realistic estimate that the population of rats in NYC is around 2 million, which would only be 20% of the human population in NYC opposed to 5 times. This makes your chances of a rat problem much higher. When you need a rat exterminator, trust the pros at Control Exterminating. New York City is one of the largest metropolitans in the world. The city hosts a very large population of people. The city also has many hotels, homes and other commercial premises where people spend their days. However, the city’s peace has been under threat due to the massive rat problem. Rats in NYC have been on the rise in recent years. The effects of rats in New York have been so devastating that NYC mayor declared total war against these rodents. The mayor, Mr. Bill De Blasio promised to eradicate these rats in the most affected places. The Lower Manhattan and Brooklyn are the most rat-infested zones in the city. The mayor promised to eradicate at least 70% of the rats by the end of 2018. In his plan, the mayor intends to cover all dirty floors in publicly used buildings. He also intends to put 336 new rat-proof garbage bins. These bins compact garbage with solar energy. These new bins are supposed to add on the 1,100 bins already present in the city. A study conducted in the city revealed very interesting results. The researching team wanted to find whether there existed similarities between rats in the downtown and uptown (Upper West side) areas. They found that a New York City rat can be identified according to its residents. The rat population in NYC adapt to the environments where they live. Downtown rats are more used to household trash, unlike the uptown ones that are used for offices. The study also revealed that rats in New York rarely migrate from one place to another. A rat family occupies one resident for many years. This means that the uptown and downtown NYC rats do not mix at any time. These small gnawing mammals are capable of causing devastating damage to homes and offices. A mouse and a rat are capable of entering through a tiny opening. They mostly come to the houses through gaps in the roof and ceiling. These rodents are also excellent swimmers. This means that rats can stay in the water for an extended period without dying. Rats can swim their way into the house through sewers and drainage pipes. Once in the house, rats contaminate foods and water. They are also carriers of many diseases that affect human beings. Rats can also be very destructive when they gain access to food storage rooms. They gnaw at cereals and other soft materials. Rats are the most destructive pests and thus require to be eradicated. Here are some health problems you may not be aware of that can become a problem when you have a rodent infestation. 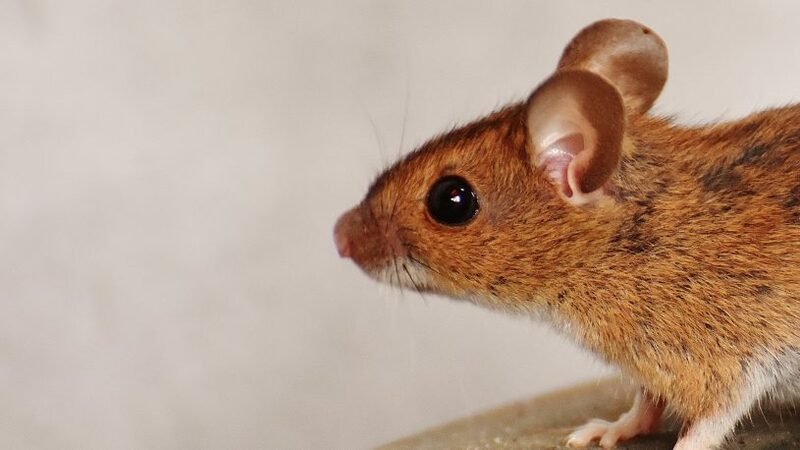 You can get HPS (Hantavirus Pulmonary Syndrome) from a bite or from inhaling the feces or urine of rodents infected with HPS. The worst part is that if you come in contact with HPS, you can develop a life-threatening infection. Although other pests carry this same disease, the rodent is the one that is most commonly known to carry Leptospirosis. This disease can be contracting by merely coming into contact with a rodent that is infected or being bitten by one that is infected. Symptoms include vomiting, respiratory issues, diarrhea, jaundice, and liver failure. Some people with underlying health issues have died from Leptospirosis. Despite the name of this disease, you don’t necessarily get a rat-bite fever from just being bitten by a rat. You can develop it by being bitten by any other type of rodent. 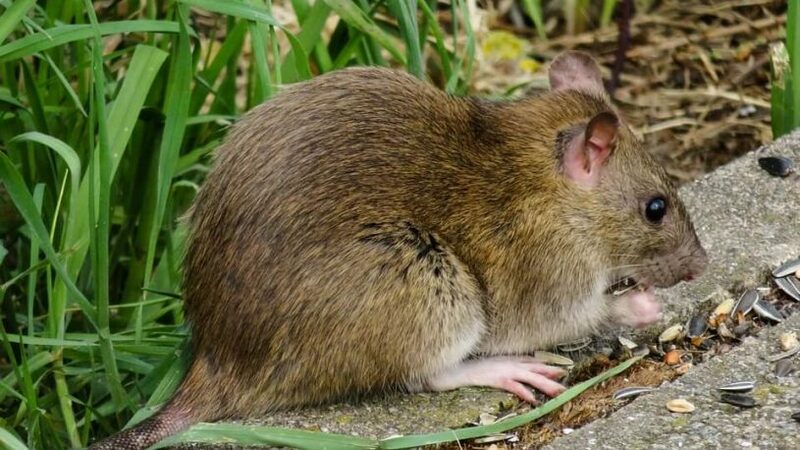 If you’ve developed rat bite fever, you will know because, after a few days, you will develop a rash, fever, chills and muscle aches. At Control Exterminating, we control a wide range of pests. However, we are experts in the control of rodents. Rodents are one of the most prevalent pests in New York City. Our personnel is highly trained in the extermination of rodents and other pests that infest the city. 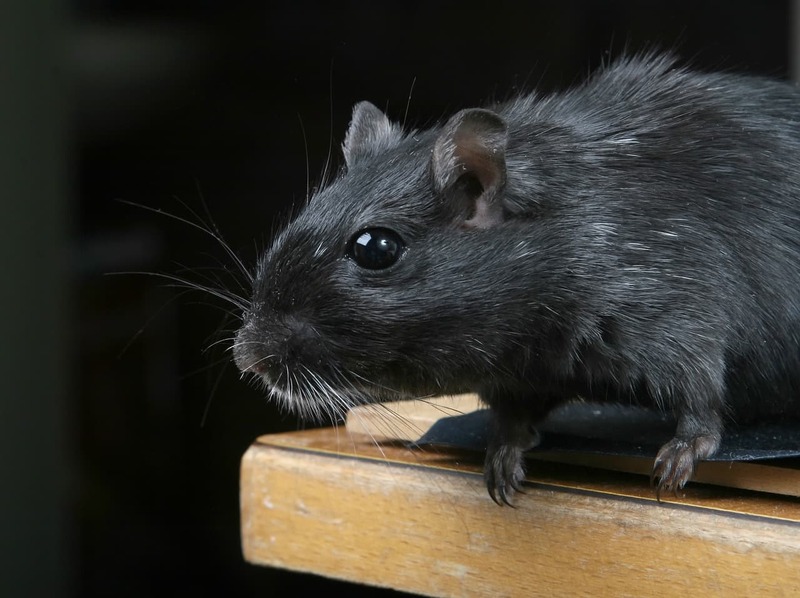 We have a lot of experience in dealing with NYC rats and mice and have aided in the removal of them from many properties and areas. Our services are highly rated. This is because we always provide our best quality. 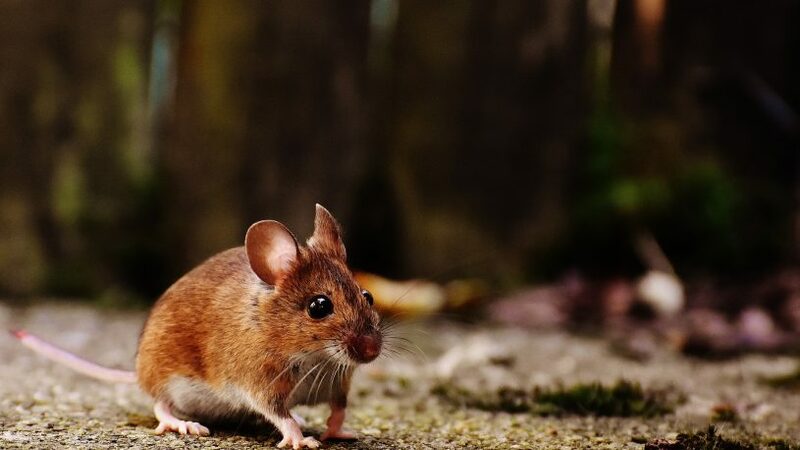 We are the most trusted exterminator in NYC as well as a first-class mice exterminator. 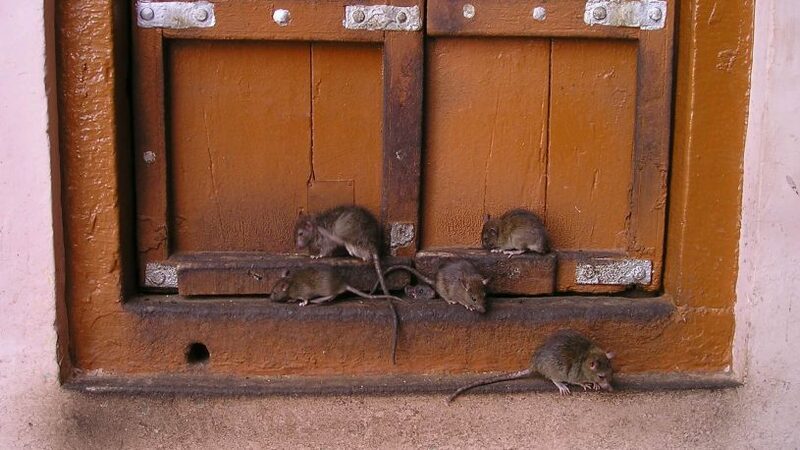 Control Exterminating is committed to bringing down the rat problem in NYC to the lowest possible levels. We first inspect the infested places. After inspection, we choose the most appropriate control method. We use pesticides that are environment-friendly. Our methods are highly effective in rat elimination. We then install pest proofs to prevent re-infestation. Whenever you are encountered with a mouse or rat infestation, contact Control Exterminating. In addition to being a rat control company, we are also a mouse exterminator. The New York rats require immediate action before they grow to uncontrollable numbers. 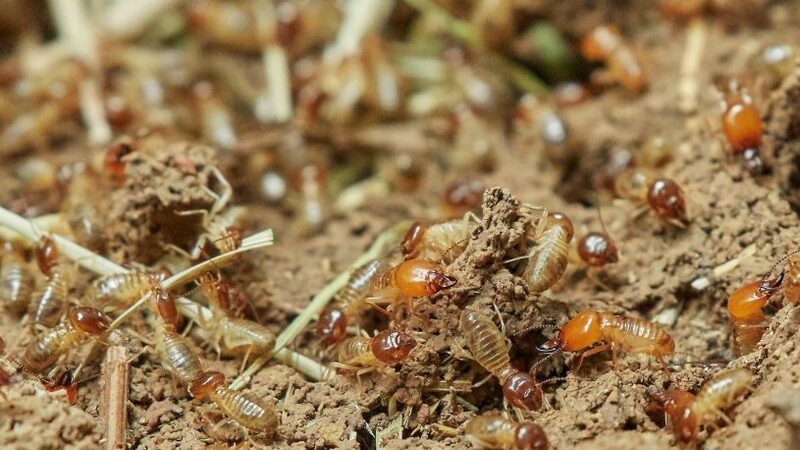 Termites can be quite sneaky because most people don’t even notice the signs of termites infestation till quite a substantial amount of damage is already done. If you look at their tiny white bodies, you would never be able to guess what a menace they can be. We’re talking about termites. These wood-feeding insects cause damages worth $5 billion in America every year. Here we’ll show you how to tell if you have termites. While dry wood termites feed on wood that is dry, the subterranean termites live underground and can cause a lot of damage. At Control Exterminating, we specialize in dealing with all kinds of termite infestation in NYC. The first step to controlling a termite infestation is to be able to identify the signs of termites infestation early. These structures are clay like and are brown in color. These tubes protect termites from predators and also provide them with the dark and humid environment to store their food. These tubes are between 10 mm to 50 mm in width. We must look out for these tubes as they are a tell-tale sign of termites. The subterranean termites make subterranean tunnels where they store their food. These tunnels can be almost 20 meters deep in the earth. Both the species make blowholes in trees. The subterranean termites make the more visible holes. When the alates (winged termites) want to come out of the trunk to form a new colony, they cut longitudinal slits in the tree trunk. After the exit is complete, the worker termites seal this hole. If you find termite feces (also known as frass) in your home, it is a sure sign of infestation. These look like tiny wood colored pellets. This is a mud-like substance produced by termites working on wood. It can mostly be seen near foundation walls and joints. Both the species of termites can cause damage to foundations. Termites often hollow out wood, leaving only a thin upper layer intact. In places of heavy infestation, an audible tapping noise can be heard. This sound comes when the soldier termites tap their mandibles and heads on wood to signal the rest of the colony. If you see termite with wings around your home, you definitely have an infestation in your home. 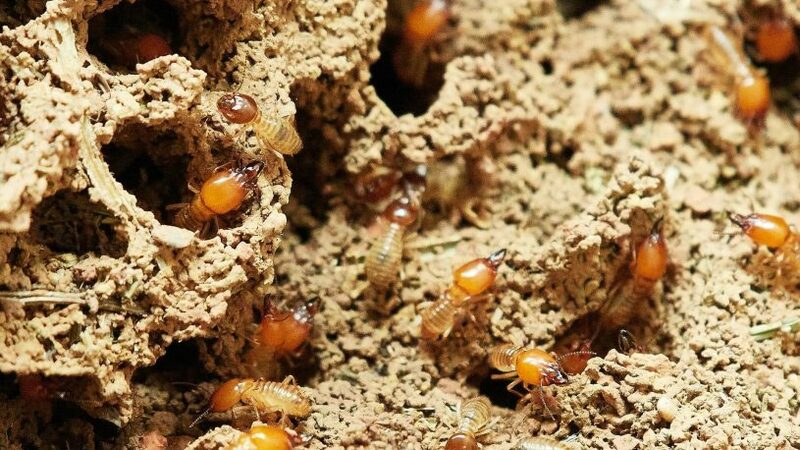 While subterranean termites swarm during the spring season, this is not the case with dry wood termites. 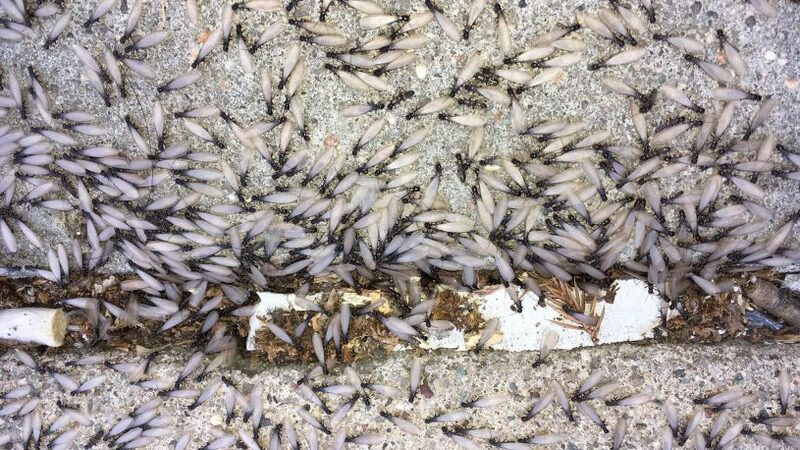 Call a termite control NYC service provider if you see a swarm or discarded wings in your home. Termites are known to cause extensive damage to wooden floors without showing any signs on the surface. They can completely hollow out wood and make it weak. Squeaky floors or floors that are sagging can also be signs of infestation. If you suspect an infestation, tap on the floor. If you notice a hollow sound, contact Control Exterminating without wasting any more time. Some termites also make their nests inside tree trunks or in the hollow area of the roots. Initially, these nests are not detectable, but after some time you will notice a large pile of mud near the root of the tree. Quickly Getting Your Termite Problem Under Control! If you are investing in a home or any other type of property you may have to have the home inspected and if termites are present, you might have to rethink the purchase. They are active at night and can go undetected for years. Termites eat wood and have also been known to chew on wiring. In both instances, this can be a costly thing to repair. If they are eating on your wood flooring, it will weaken the floor, making it impossible to walk on without harming yourself. If they begin chewing on your wiring, this can cause an electrical fire. Both instances can be extremely dangerous and costly. These are some of the most compelling reasons for getting the problem under control quickly. The longer they are allowed to exist, the worse the problem will become.